In July of 2011, I attended a Common Threads charity dinner at Area 31 in the Epic Hotel. At the dinner, chef Kris Wessel served one of the most explosive flavored fish dishes I've ever tasted. It was a sour orange-lychee "fire glazed" Florida Pompano with calabaza hash and agua de coco callaloo. After I complimented him on the dish, he uttered one of my favorite quotes from a chef "That's what happens when you take the motel chef to the hotel". That line still makes me laugh. Lucky for us the former owner/chef of local favorite, Red Light Little River located in the no tell Motel Blu has taken his super talents to South Beach and the recently renovated James Royal Palm Hotel. I was a huge fan of his popular sandwich spot on Lincoln Road, Paninoteca. I ate there several times a week in the mid to late 90's. His muffaletta was New Orleans good. That's because he's a Louisiana native who started his culinary career in the legendary kitchens of New Orleans. Kris left Paninoteca to open another South Beach favorite of mine, the New Orleans-esque Liaison which was tucked away on the Western end of Espanola Way. Great food, tough location and ended up closing in 2002. Kris eventually moved on to be executive chef at the Mediterranean inspired Elia located across from the puzzlingly popular Carpaccio at the Bal Harbour shops for a short period of time. After spending a year or so renovating the funky space on the river, Red Light finally opened in 2008. I loved Red Light despite driving down multiple times to find the door locked. Or the frequent times when Opentable was offline and the phone was either out of service, off the hook or simply unanswered. Busted air conditioning, one beer left, slow service and front row views of the Black Gold parking lot only added to its charm. Despite the flaws, the food being served was always prepared by Kris and always some of the best in town. Watch out Miami because Kris is now armed with a staff, full bar, air conditioning and the same fantastic and flavorful cooking Wessel fans have grown accustomed to. As of this post, I've paid two visits to Florida Cookery and both meals were great. 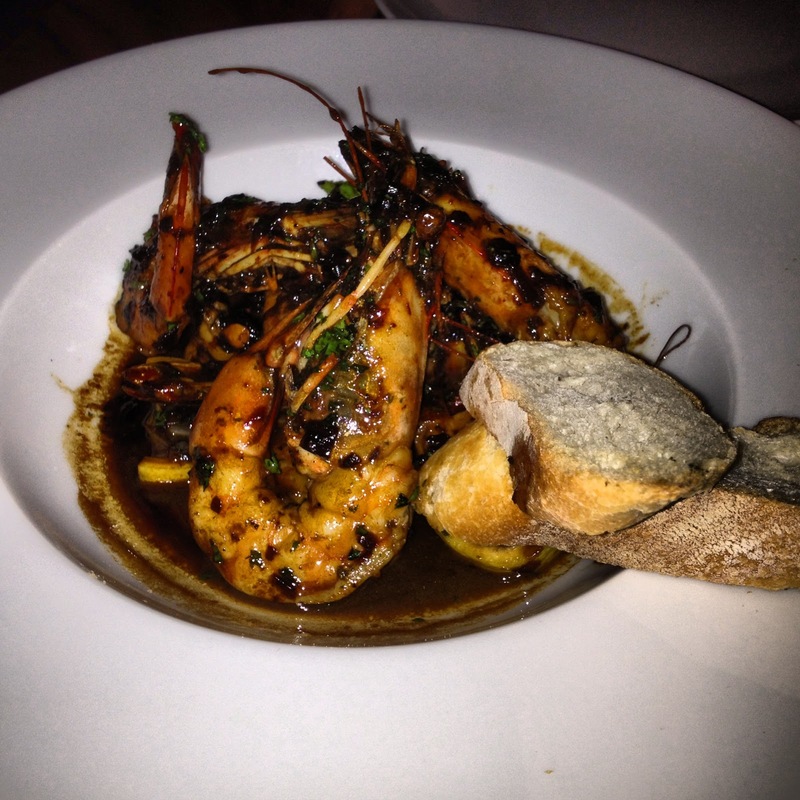 At the Cookery, Kris continues to use fresh, locally sourced fruits, vegetables and seafood. By now, I'm sure most Red Light fans have already stopped by to get their fix of his legendary BBQ shrimp. Yes! They are on the menu as are his ribs and his burger which has always been one of the best in town. For those who missed the Red Light boat or weren't a fan of the service and/or setting, you have a second chance to enjoy the flavorful cooking of one of Miami's best chefs. Below are some of the dishes I've sampled thus far. No worries here about losing out on that last Red Stripe. Florida Cookery has a great looking and fully stocked bar and wine list. The restaurant features two dining area plus an outdoor patio area. The oyster, oxtail and alligator empanadas served with a sofrito jus and lemon cayenne rouille is probably my least favorite dish I've had thus far. Don't get me wrong, they were good but I wasn't a big fan of the empanada as a vehicle for these great items.I'm sure I'm in the minority on this though. I thoroughly enjoyed the cast iron seared sunshine state frog legs which are marinated in Florida oranges and lime leaves then paired with a spicy jicama stir fry. With so many great items on the menu it's hard for me to get excited about a ceviche. 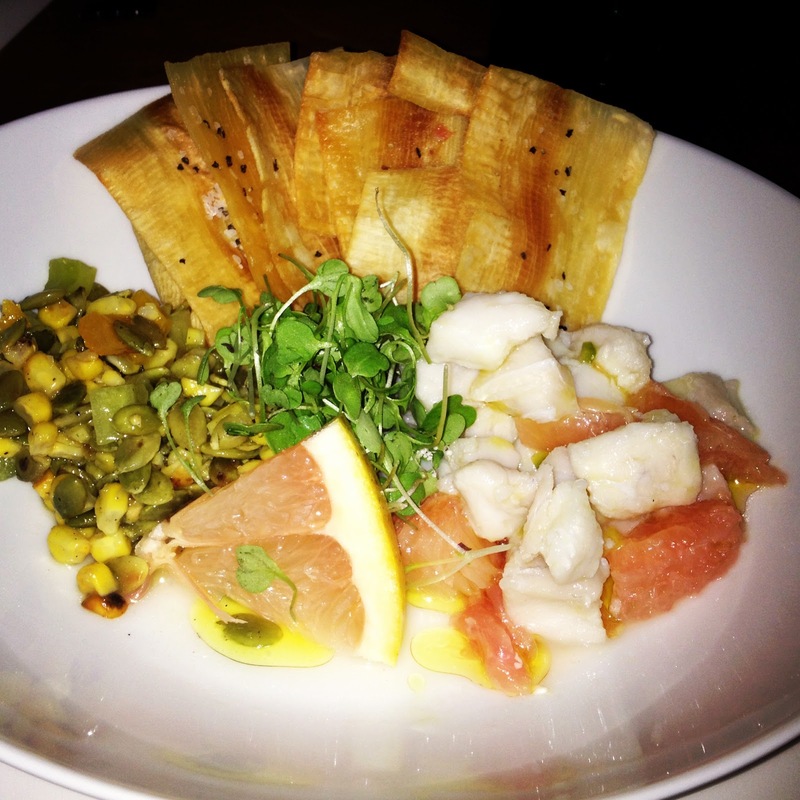 But Kris' grapefruit-guajillo ceviche with green pumpkin seed corn salsa is a light and refreshing change of pace. 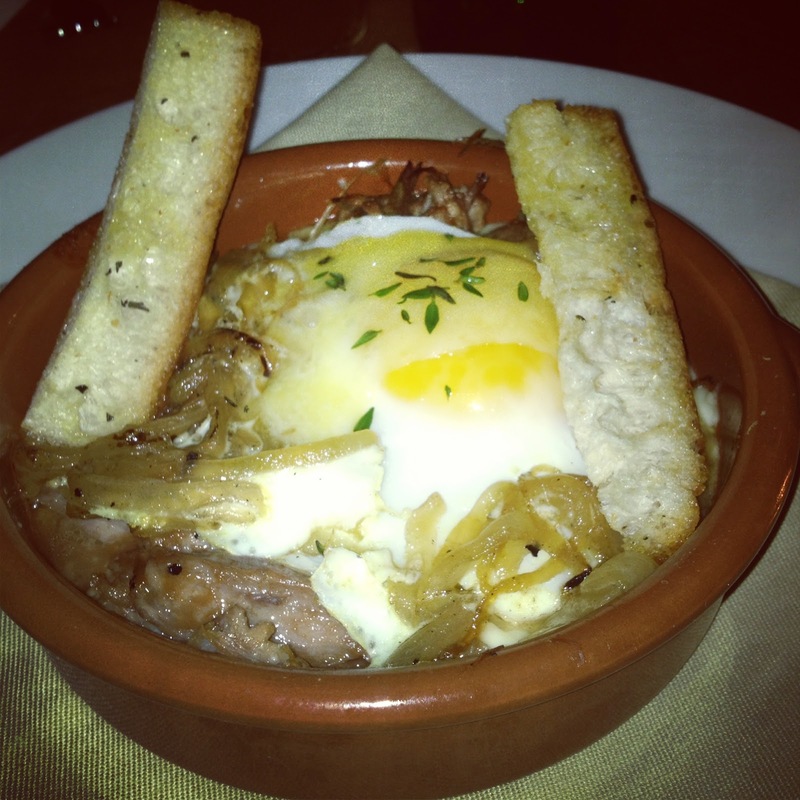 More my speed was the delicious guava duck confit topped with a Tomme cheese and Meadow Farms duck egg. 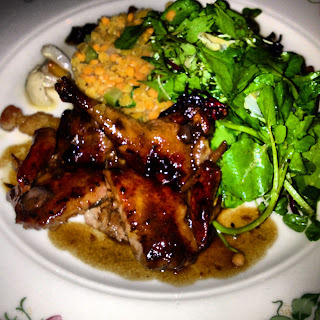 Quail fans will love the tender and a flavorful sorrel lychee glazed Florida quail. It's paired with pork belly studded pink lentils and hibiscus vinegar cress. This is a must order dish as well. Looking forward to checking this out this coming Saturday. Will be trying the BBQ Shrimp for sure. Will visit this restaurant for sure. What appeals to me the most is the BBQ shrimp and the oyster empanada they;ve got here. Can't wait to go taste those. Aside from the food they offer, what really caught my interest and attention was the dining area. I love how the chairs and tables were perfectly paired with the carpet and wallpapers. When visiting a new resto, I first look at how the place was designed and set up before I decide to try their food. Looking at these resto’s photos makes me want to visit this one, the place gives me a nice ambiance and comfortable feeling to enjoy the food. You have got to love those chairs. I'm sure they add to the dining experience here; there's nothing like eating good food in a very comfortable and relaxing atmosphere and setting, for sure. I wish they also have those kinds of chairs and tables in the patio area. It'll lovely if I can eat and chat with friends while lounging on those posh-looking seats. Now this is my idea of a menu! And patio eating? As long as the chairs are comfy and the view is great, count me in. I guess I should sign up for a reservation for spring break then. I like how the Cookery's bar was arranged and designed. It's not of the typical bar variety, and it looks pretty light for a stocking area. What I like about this place is there are other available dining areas, aside from the dining room inside there’s also an outdoor patio area. Actually, I patterned my dining area to this restaurant’s feature dining and I’m currently enjoying my dining areas. Ooh! All of them are just as delicious as they look like. We've actually tried eating in there and was satisfied especially their desserts in which according to the one I talked to was their specialty because they are using traditional oven for it.